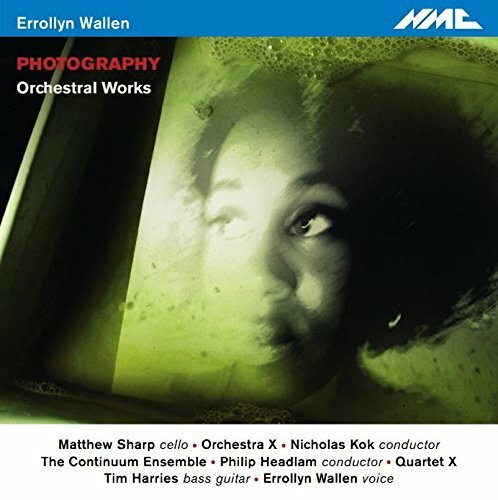 AfriClassical: Errollyn Wallen: US Release of New Orchestral Album PHOTOGRAPHY; The Guardian Reviews it as a "fine portrait of a wide-ranging artist"
Errollyn Wallen: US Release of New Orchestral Album PHOTOGRAPHY; The Guardian Reviews it as a "fine portrait of a wide-ranging artist"
My Cello Concerto, commissioned by Orchestra of the Swan, is inspired by the unique performance characteristics of Matthew Sharp for whom I have enjoyed composing many times before. Hunger was written in memory of my treasured friend and muse, Rory Allam and is dedicated to Philip Headlam and The Continuum Ensemble, who commissioned and gave the first performance of the work in London in 1996. Composing is an abstract activity; yet all life goes into a piece of music. I have written a work in four movements not directly inspired by a particular image but rather as when we view a collection of photographs, ideas have come from an assembly of situations - in this case, musical situations. Ever since reading Virgil's Aeneid at school I have been obsessed by the story of Dido, Queen of Carthage. My poem Of Crumbling Rocks is a meditation on Dido's last hours. "Music seemed to yank me towards it,” writes the Belize-born British composer Errollyn Wallen, and the unselfconscious plain-speak of her work chimes true with that statement. Her writing sounds instinctive. Moods are blatant, gestures are unambiguous, she pinches from baroque, jazz, film, romantic and minimalist idioms and wears those influences bright and proud on her sleeve. Dear Bill, You have been so generous to me over the years. Much appreciated!